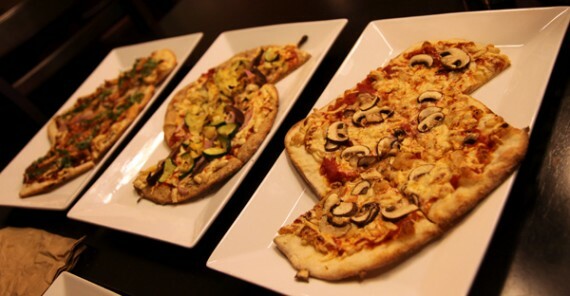 pizza fusion hollywood: an awesome place to dine. 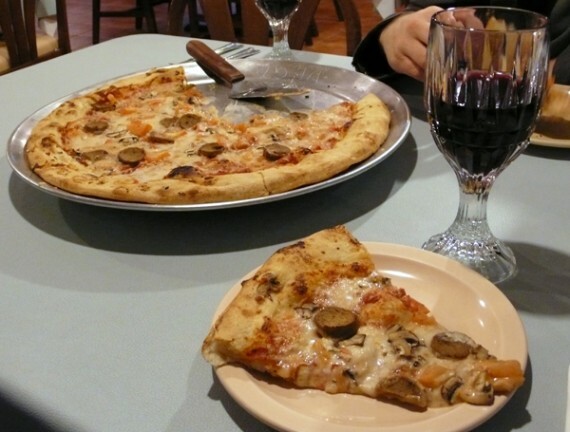 just a few days ago, we were lamenting that there’s not enough vegan-friendly eat-in pizzerias, where one can relax with a bottle of red wine and a tasty pizza in a comfy dimly-lit environment. well, pizza fusion hollywood has come to the rescue. pizza fusion hollywood has been open for a while, but up until yesterday the only vegan cheese they offered was follow your heart. 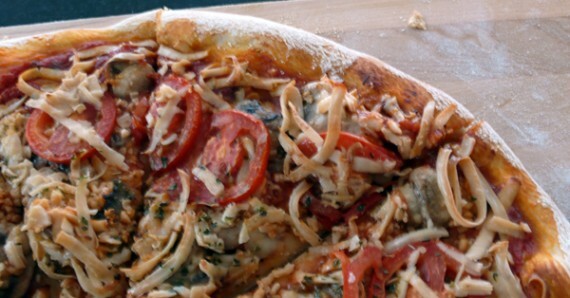 after being spoiled by the countless places to get daiya in LA, i vowed to never eat FYH again…and even wrote an open letter to pizza fusion hollywood begging them to carry daiya. earlier this week, they sent me an email saying they would finally be introducing daiya to their menu (in addition to FYH), and inviting me over for a pizza tasting. of course my reply was, hell yes! 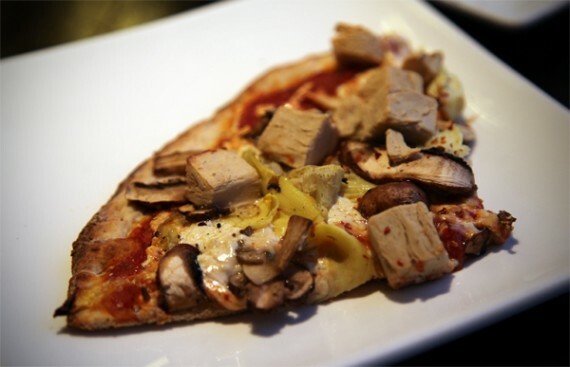 i hit up pizza fusion hollywood along with brittany from sick of lettuce, to try out their daiya-covered pizzas, and i must say the whole experience was pretty wonderful. when i arrived i was floored by how inviting and cozy the restaurant was. 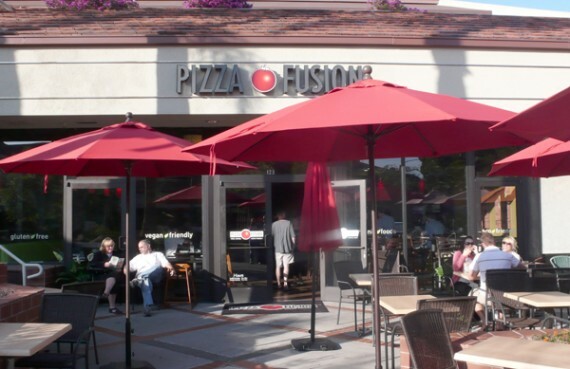 i’d been to pizza fusion in santa monica before, but the hollywood location is much more my style. it’s smaller and more intimate, but with a pretty big bar, and cute tables looking out on sunset blvd. our server was extremely friendly and brought us a drink list with all the vegan options clearly marked. 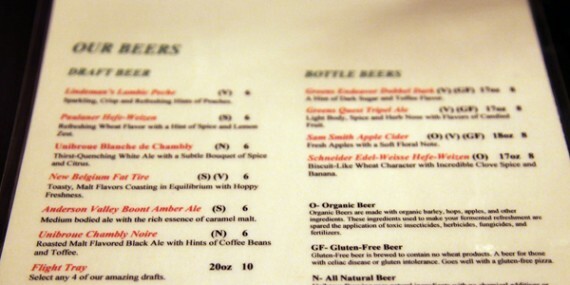 we ordered a glass of beer and wine and spent a while poring over the menu, deciding what we could veganize. ahhh, this is so the pizza experience i have been looking for! 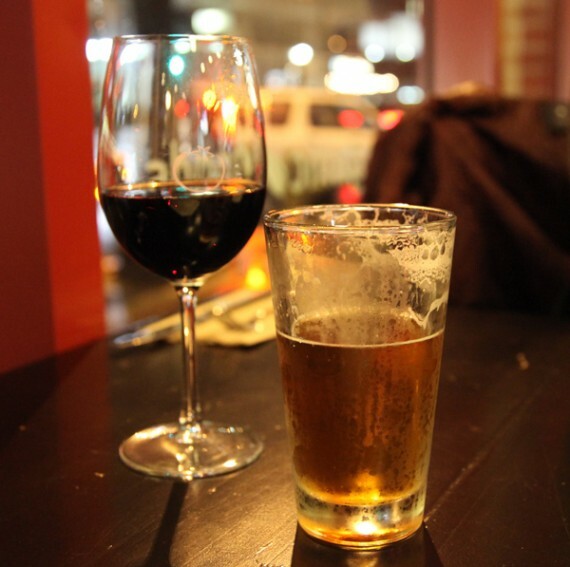 tap beer, wine, and all the time in the world to just hang out and chill. we started out with the flatbread and dip trio appetizer, which is not vegan by default, but can be made animal-free by omitting the artichoke spread and olive tapenade. flatbread and dip veganized: served with marinara and olive oil. they brought it out with extra marinara sauce and olive oil for dipping, and the whole thing was downright delicious. 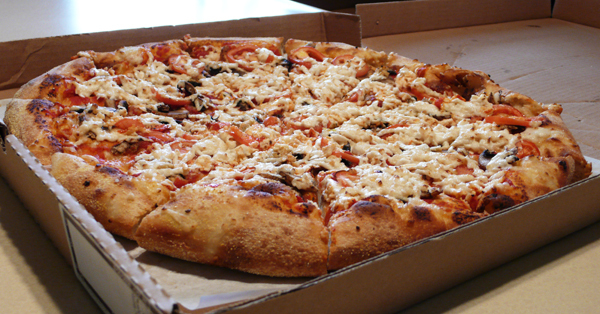 the portion was huge, but we had no problem polishing off every last triangle. 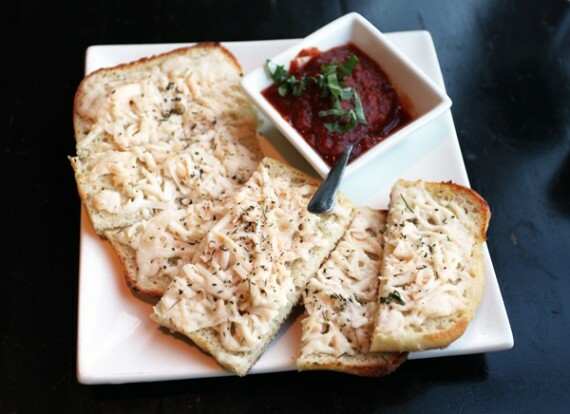 the bread was moist and covered in delicate seasonings, and the sauce was rich and flavorful. 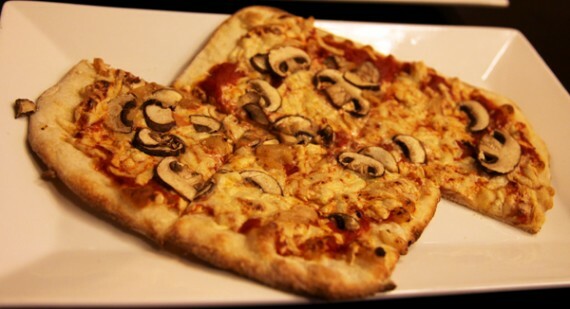 very vegan: crimini mushrooms, roasted garlic, tomato sauce, and daiya cheese. 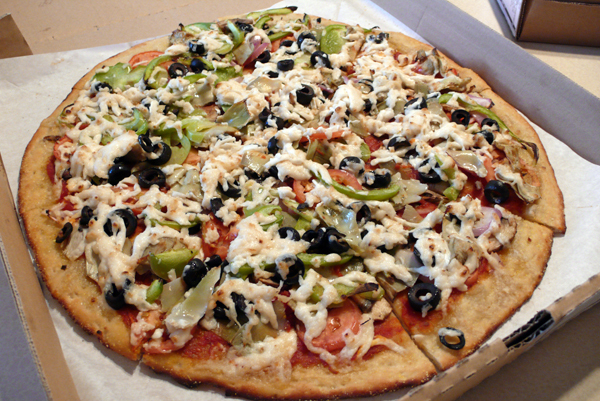 the first pizza we tried was the only one that is vegan by default: the very vegan. 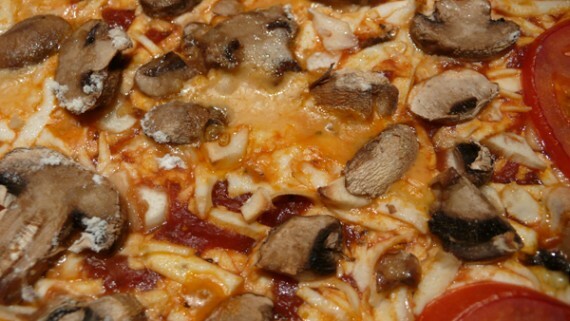 it came with mushrooms, garlic, tomato sauce and daiya cheese. i’ve had this pizza before with follow your heart, and i must say this was a huge improvement! 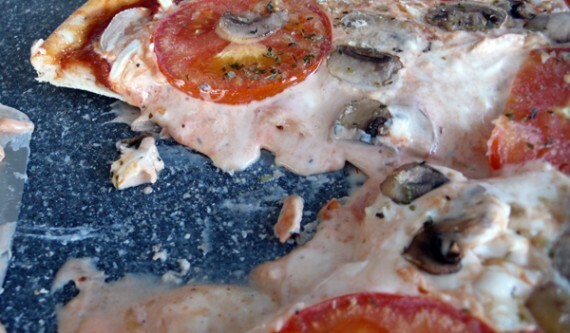 they didn’t put too much cheese on the pizza, but rather just the right amount, so it wasn’t overly gooey. 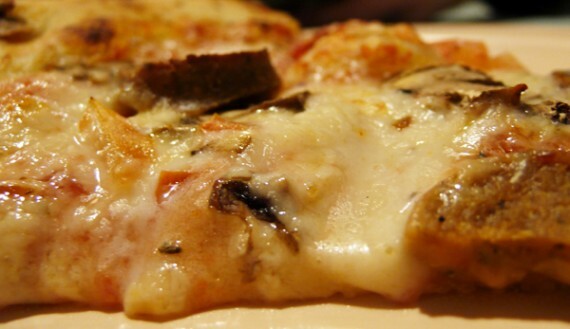 mushrooms and garlic are pretty much my two favorite pizza toppings anyway, so this was right up my street. 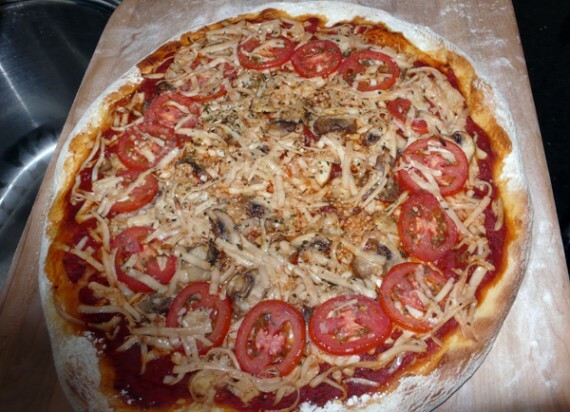 vegan bbq chicken pizza: bbq sauce, roasted red onion, fresh garlic, basil, daiya cheese. 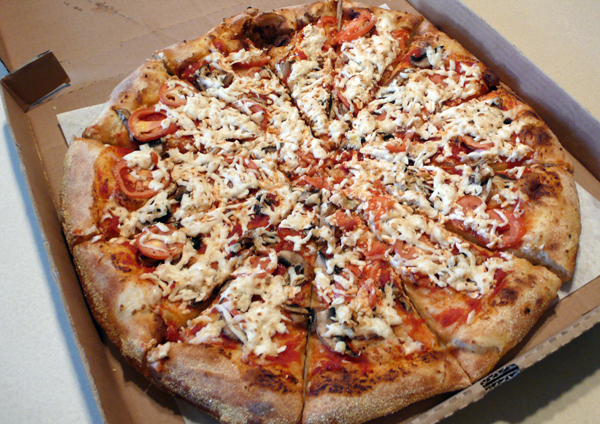 the next pizza we tried was the bbq chicken pizza, with daiya and vegan chicken strips. this thing was awesome, and the faux chicken was soft and chewy. 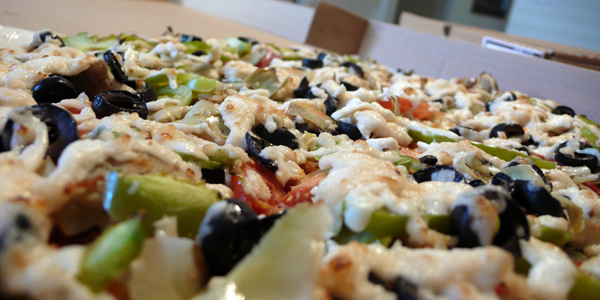 it was pretty light and healthy tasting too, again pizza fusion didn’t overload the thing with cheese and soy meat. 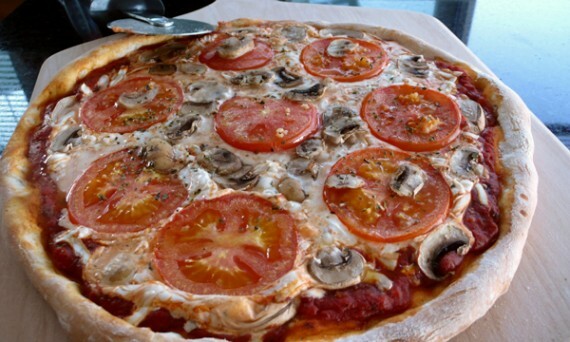 sweet and tangy with a kick of garlic, this pizza was perfect. 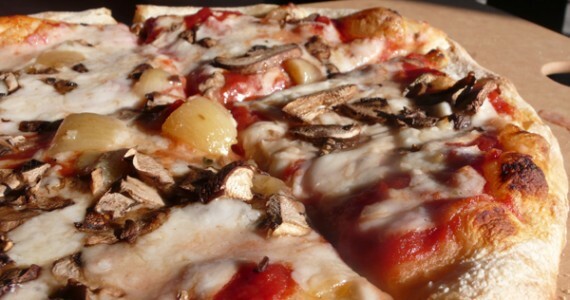 farmer's market vegan: roasted artichoke hearts, red onion, zucchini, roasted portobello, tomato sauce, and daiya. 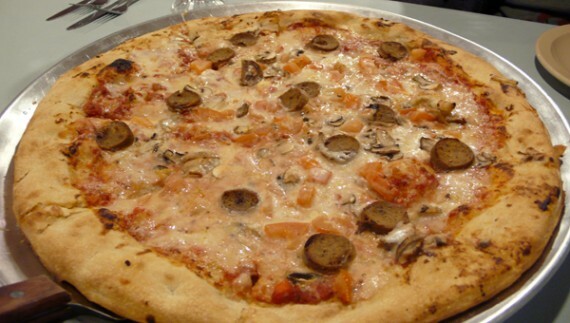 the last pizza we sampled was a vegan version of the farmer’s market, a pie loaded with roasted vegetables. pizza fusion did not skimp on the toppings one bit; there were huge chunks of everything from portobello mushrooms to zucchini to artichokes. 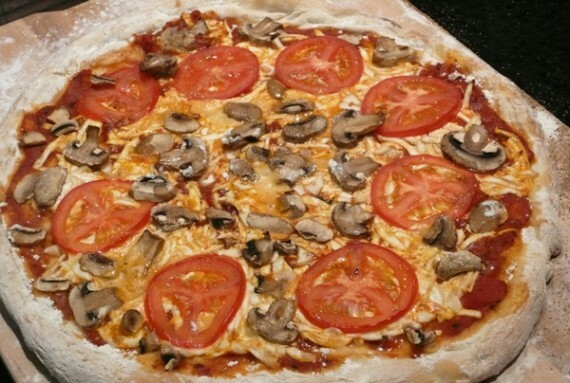 while we chose the white crust option for the first two pizzas, we got this one with multigrain crust. i’m not gonna lie, i like the white crust better, but the multigrain one was pretty good as well. just when i thought i was gonna explode, they brought out some brownies and ice cream for us to try as well. 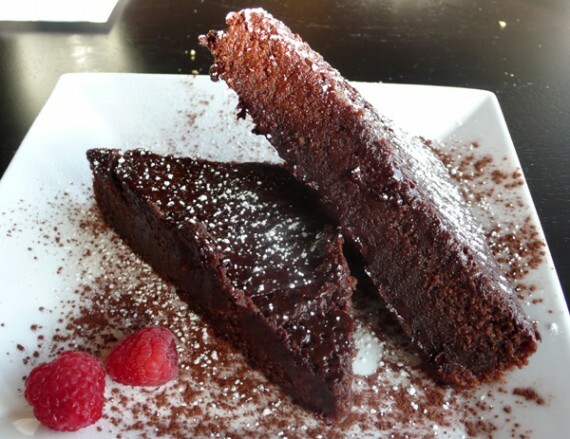 the brownie was vegan and gluten free, and while i’m used to more decadent desserts, it was definitely great for a GF item. 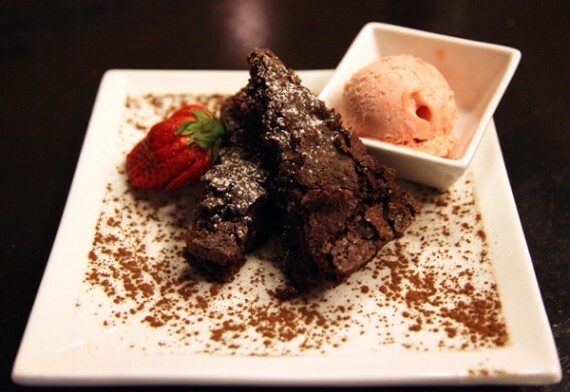 i’d had a pizza fusion brownie before at the santa monica location, and this one was much better and softer on the inside. the real star of the dessert plate though, was the vegan strawberry ice cream. 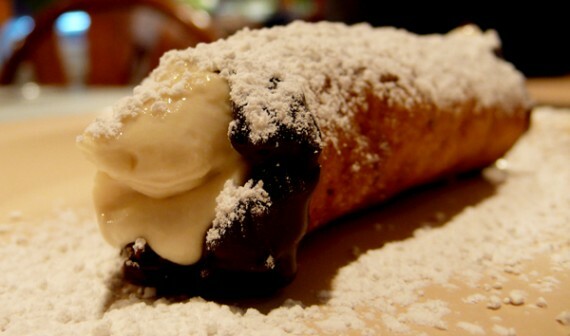 completely rich and insanely delicious. 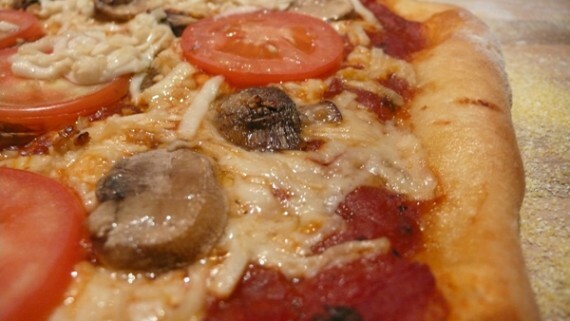 overall, our experience at pizza fusion hollywood was lovely and i can’t wait to return. the food was good, the vibe was chill, the staff was nice, and the beer was on tap. plus the place is really easy to get to, close to my house, and validates parking for up to an hour. 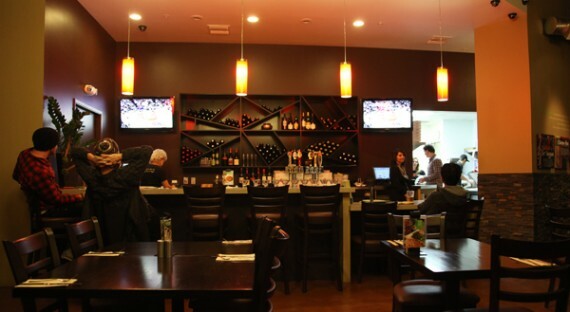 for convenience and atmosphere, pizza fusion hollywood has everywhere else in town beat. so check this place out when you have a chance. 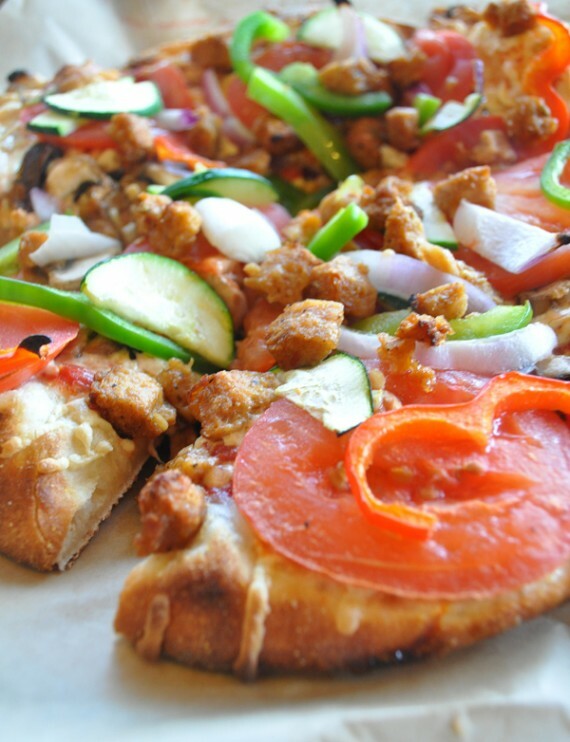 get some vegan pizza and take your pick of either daiya or follow your heart. isn’t it great to have all these options? PS: the pizza fusion in santa monica also carries both daiya and follow your heart. yay! 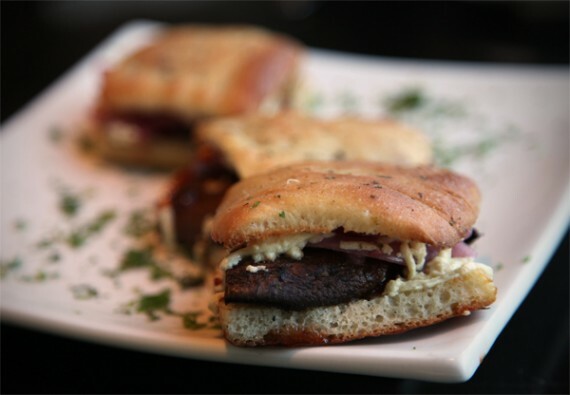 hugo’s restaurant is a great little los angeles eatery that caters to both herbivores and omnivores alike. they have 2 locations, one in studio city and one in west hollywood. 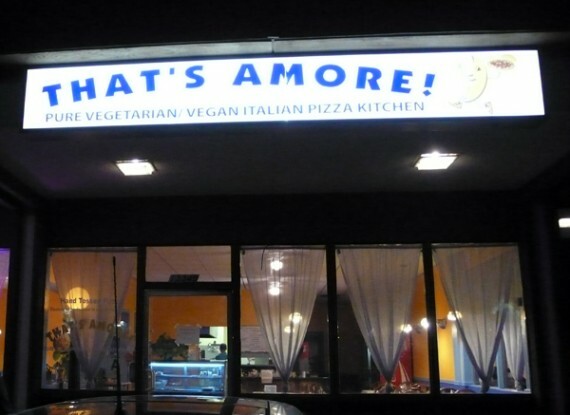 their menu is extremely vegan-friendly, with so many options i could never possibly try them all. 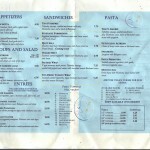 plus they have a cool little easy-to-read legend on the menu that lets you know which stuff is safe to eat. ▼means the item is vegan, while (▼) means the item can be made vegan. simple. how rad would it be if everywhere gave us this much support?! 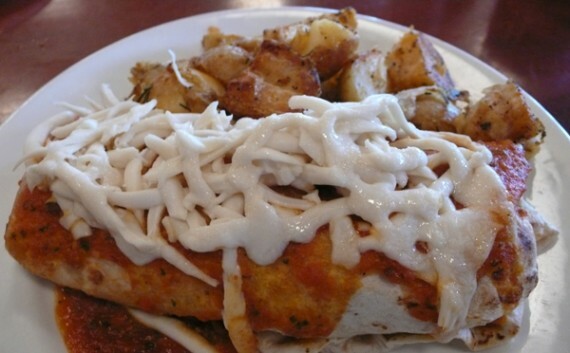 my most recent meal at hugo’s was a veganized breakfast burrito stuffed tight with tofu, vegan cheese and tomatoes with a heaping side of breakfast potatoes. 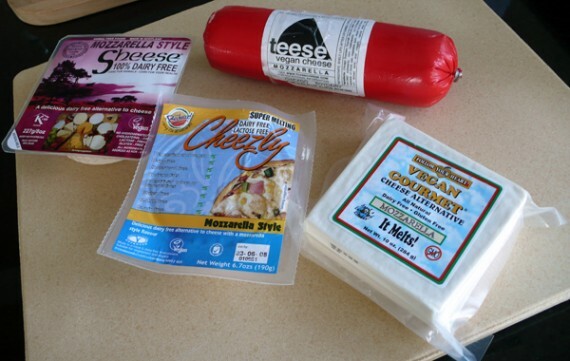 i was kinda nervous about the vegan cheese, after finding that so many restaurants may lie and mislabel their cheese. fortunately when the waiter brought out the burrito, i instantly recognized the unmelted mass covering my entree. that’s right, i confirmed it was follow your heart brand vegan gourmet. even with daiya and teese available, it seems that most restaurants resort to this boring stuff. 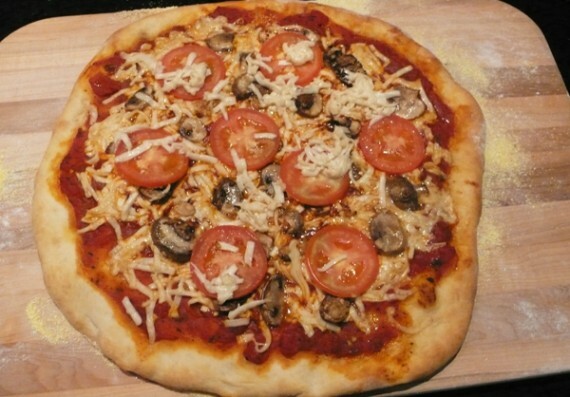 ok, so it doesn’t melt and it’s not very good….but at least it’s vegan and it’s better than no cheese. i actually quite enjoyed it on the hugo’s breakfast burrito. inside the burrito, was some extremely tasty tofu with a texture that can’t be beat. thick firm slabs, but still kind of scrambly…if that makes any sense. i loved it. even with the unmelty follow your heart cheese, this breakfast was on point! my only qualm with this meal is that it was a little pricey. $11 for a breakfast burrito and some potatoes is pretty steep…but what the hell, this is a trendy location in weho and the food was damn delicious. vegans, go to hugo’s. and if you have to stoop so low as to hang out with omnivores (yugghghghghhghggh! ), this would be a great place to take them. just be sure to avoid the french fries. i hear they aren’t vegan. just be sure to grill your waiter about all the extras when you order a vegan-optional dish. it seems like every time i go to hugo’s, it’s for breakfast. 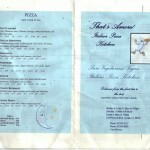 i need to hit them up for lunch or dinner soon because the menus look amazing. to be continued…. just a quick post to let los angeles vegans know, you can’t order a vegan burger at follow your heart. i know that seems kind of weird…after all, the entire cafe is vegetarian and there are vegan substitutes for almost everything. 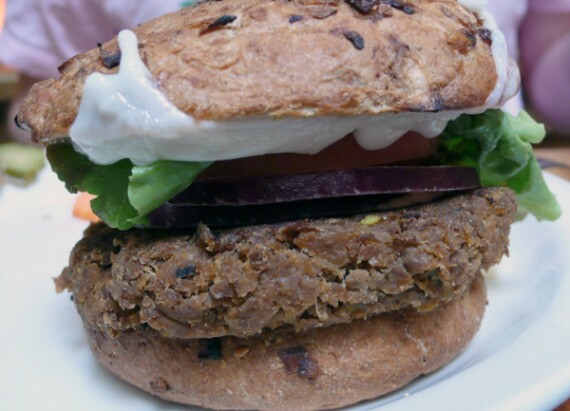 the patties are vegan, they come with vegenaise, and there are two vegan cheese options…it’s the buns that hold the burgers back because they contain honey. i’ve ordered the ‘vegan’ burger at follow your heart several times, never thinking to question the bun until i heard from a friend that they weren’t vegan. i called follow your heart’s cafe yesterday and they confirmed: all the buns contain honey, but you can order any of the burgers on vegan bread. apparently the rolls that come with the soup are also not vegan, even though the menu specifies they are “non-dairy.” usually to me, at vegetarian cafe, i would take non-dairy as meaning it’s vegan…i guess you can never be too sure. i wanna point out this isn’t like a huge deal or anything, they aren’t sneaking casein into the vegan cheese or whey into the mock meat; but still, to most of the vegans i know (myself included) honey isn’t something acceptable to eat, so it’s kinda a bummer we can’t get a vegan burger at follow your heart. this isn’t gonna stop me though, those burgers are so damn good i will have to try them out on normal bread. here’s to hoping someday follow your heart will carry a bun that is 100% vegan. it never hurts to ask, right? 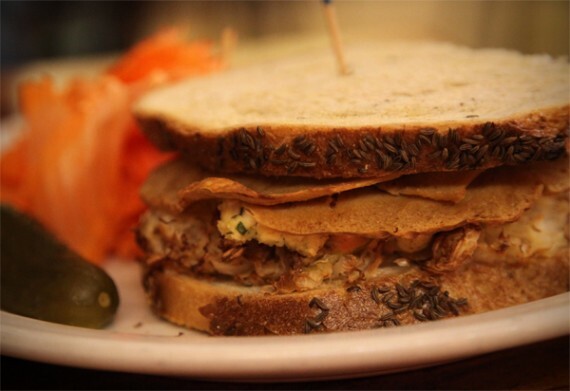 i’ve got some good news for y’all los angeles vegans: cafe muse in hollywood is now offering soy cheese! woo! 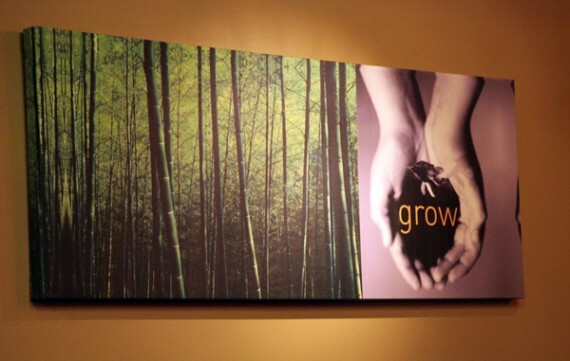 if you’ve never been to cafe muse before, you should definitely check it out. the modest little coffee shop/restaurant serves up an almost entirely vegetarian menu and has loads of vegan offerings. they help you identify the vegan items on the menu by putting a little star * next to all the stuff that contains dairy. 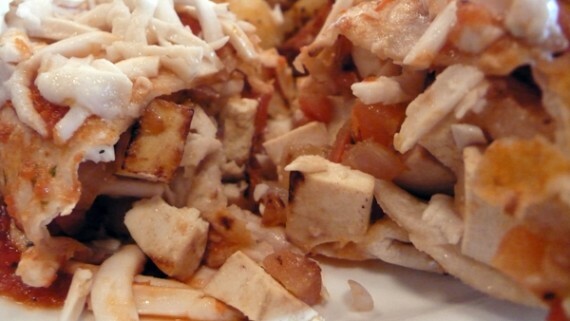 well now, vegans can eat most of the starred menu items as well, by substituting vegan soy cheese for normal cheese. 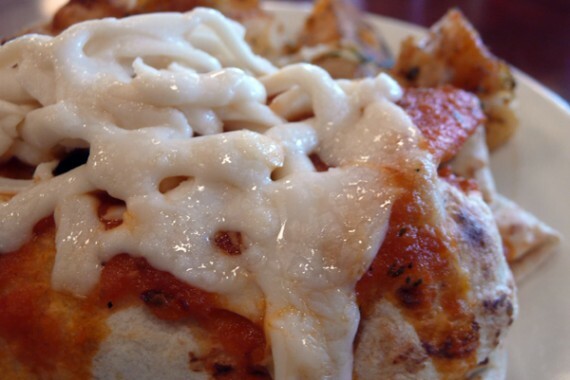 that’s right…the pizza, quesadilla, nachos and chili cheese fries are no longer off limits! i celebrated yesterday by hitting up cafe muse and ordering a vegan grilled cheese sandwich. they use follow your heart for the vegan cheese, and as you can see they don’t have the melting technique quite down yet. while the grilled cheese sandwich was decent and i appreciated the fact it had both mozzarella and cheddar inside it, the fake cheese was just a little clumpy for my taste. 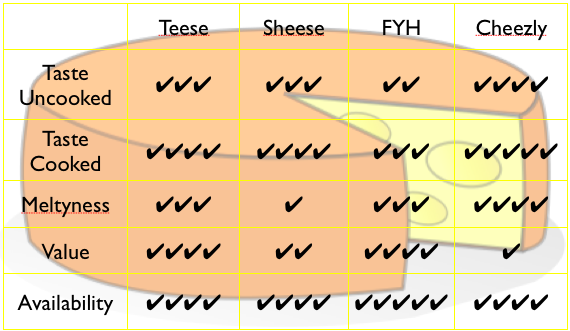 i wish cafe muse would start carrying teese from chicago soy dairy, because i’m pretty sure that’s the best vegan cheese that’s readily available here in los angeles. oh well. 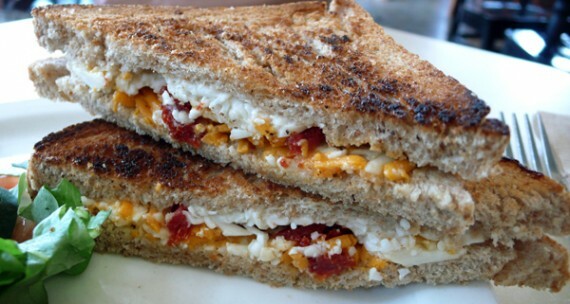 despite being called a grilled cheese sandwich, which sounds really decadent, this meal was pretty light and healthy-tasting. there wasn’t much cheese on the sandwich, and the whole thing tasted toasted…not grilled in a butter substitute or anything like that. it came stuffed with little sun dried tomatoes which gave it a slightly sweet and tasty flavor. i was expecting the sandwich to be much more unhealthy, so i got it with a side salad instead of sweet potato fries. all together, it was a pretty good meal….albeit expensive at 8 bucks. i don’t think i will order this sandwich again, although i definitely want to test drive the vegan cheese on the nachos and pizza. i will let you know how that turns out. in the mean time, if you want a healthy meal that will not disappoint, grab one of cafe muse’s make your own salads. for under ten bucks you can get a f-ing HUGE bowl of salad with any fixins you desire. 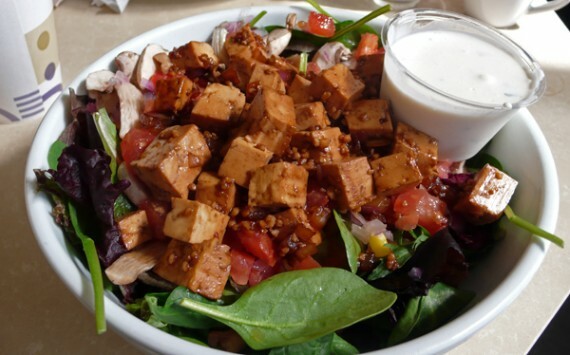 my favorite combo is the grilled garlic-soy tofu with vegan ranch, although they also offer four varieties of soy chicken as well. you can’t go wrong. 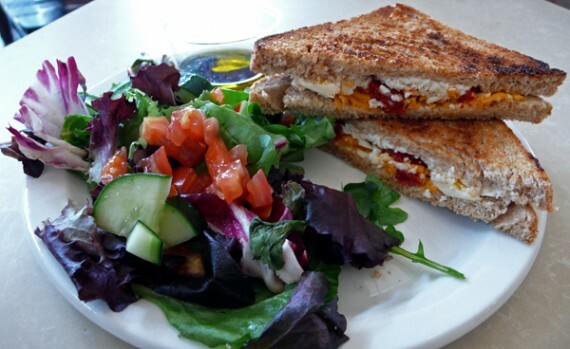 so check out cafe muse if you haven’t already, and support their decision to carry vegan cheese. maybe it will be more melty on the other menu items.